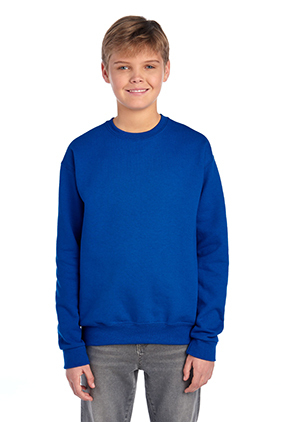 50% cotton/50% polyester NuBlend® pre-shrunk 8 ounce pill-resistant fleece sweatshirt with set-in sleeves. Two-needle coverseamed neck, armholes and waistband. Ribbed spandex blend collar, cuffs and waistband for stretch and recovery. CPSIA compliant.